Melanie Marx's Gift - F.A.I.T.H. Melani Marx is a healer, teacher, mentor, entrepreneur and joyful creative being. 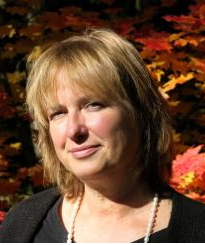 She is the author of the Daily Essence Divination Deck and the creator of the Every Day Joy e-course. Melani reflects back to folks the Essence of who they truly are and supports them in living their deepest, most joyful, creative and abundant Soul aligned Purpose right here, in 3-D, on our beautiful planet – Earth. – Because it nourishes your spirit. – Connects you to the very Essence of your soul. – Eases suffering and loosens the knots of worry. – Increases your overall happiness quotient – no matter what the circumstances of your life are. And it only takes a few minutes a day! Learn how to increase Joy in the Every Day Joy e-course. Sign up for your e-course at http://melanimarx.com/welcome-f-a-i-t-h/.